Evelyn Lau has written seven books, including the bestselling short-story collection Choose Me. Her first book, Runaway: Diary of a Street Kid, was published in 1989 when she was eighteen; it became a Canadian bestseller and was published internationally. 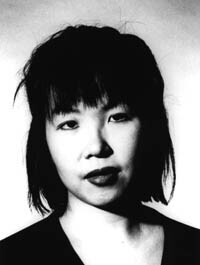 In 1992, Lau became the youngest poet ever to be nominated for the Governor General’s Award, and in 1999, she received a Woman of Originality Award. Evelyn Lau lives and works in Vancouver. In this critically acclaimed, bestselling collection, Evelyn Lau delves into the complexities of human relationships, exploring the ambiguous motives that propel her characters into emotional and sexual entanglements. With prose remarkable for its resonance, its beauty, and its candour, Lau tells the tales of women who long to be chosen by the men they can't have—men whose allure fades the more available they become. In stories set as far afield as Italy, the American southwest, and British Columbia’s Gulf Islands, Evelyn Lau stretches her talents further than ever before.